Who feeds British troops at Christmas? 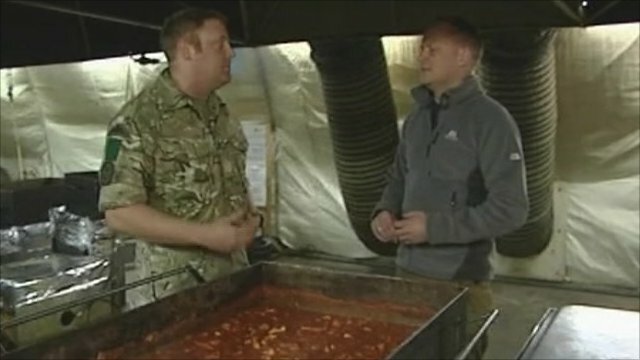 Jump to media player The Master chef at Camp Bastion is charged with feeding British troops serving in Afghanistan. 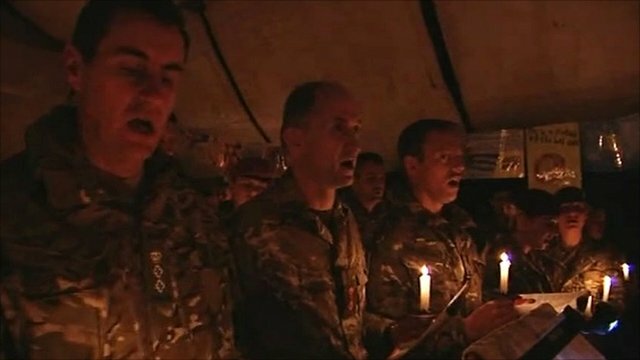 Spending Christmas in Afghanistan Jump to media player British troops are spending a 10th Christmas in Afghanistan, far from their loved ones. Who feeds British troops at Christmas? Quentin Sommerville meets the man charged with feeding Christmas dinner to British troops serving in Afghanistan. Sgt Nick Watkins is the Master Chef at Camp Bastion who will, along with a team of troops and civilians at Camp Bastion, be hard at work on Christmas day and serve more than 4000 meals.